Hey adam could you help me please? I have ordered one of the tilt boards and I have some problems with the calibration. If I hold the controller i.g. 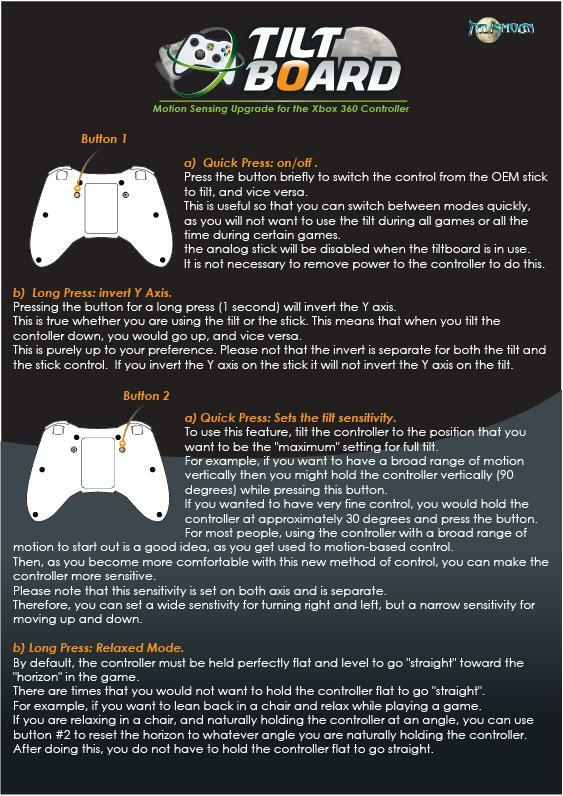 30° to the left and press the left little button ( look from the controller side with the buttons) then should this be the max. for left, but in my calibration is this the standart position. How can i calibrate the controller so that it will work like it normally should? I dont understand what this does… Is there a device that can make programable buttons on the bottom and rapid fire? I wonder if you can use it on the right analog stick. Because First person shooters use that to look around and i think that would really help with more control on the sensitivity like a with a mouse. This device turns a standard 360 controller into a sixaxis clone, where the tilt of the controller takes over for the left analog stick. It is very cool for racing or flying games, but can be used in just about any. I can’t find an answer anywhere, and I just want to be sure before I order one of these, are they compatible with the PC version Xbox 360 controller? 1) The shape of the tiltBoard 360 was made specifically for the old wireless version of the board. It may fit inside the wired version, it just depends on how the components of the board are laid out, I haven’t tested it with a wired controller since my very first version. 2) The instructions are written for installation to an older wireless (matrix style) controller. You will still be able to hook it up, but you will have to find your own points to solder to. 3) The wired controller runs off of 5V instead of 3V. 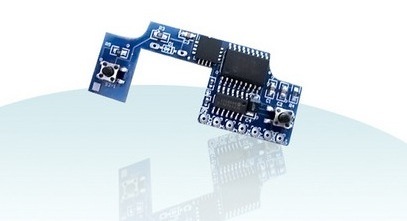 The tiltBoard 360 is made to run off of 3V. However, each tiltBoard 360 comes with a Zener diode to solder in if you wish to use it at 5V. Just solder in that diode to take care of this issue. You could also use a wireless controller (make sure it is a matrix style) and buy a Microsoft Wireless Receiver to use it with your PC. That is what I do, and it works well. Your third option would be to look at the Tilt Board v3 files (open source) and make your own, depending on how good you are with that sort of thing.